London is bracing itself to ‘let the wars begin’ as Robot Wars takes centre stage at the London Model Engineering Exhibition on 17-19 January 2014. The exhibition at the Alexandra Palace, London, is hosting a special 3m x 3m arena for the event where people can watch display fights, drive robots, participate in workshops, tournament matches and even get up close to Matilda and Major Damage, the show’s popular house robots. From featherweight robots weighing 13.6kg through to 960kg destroying machines, the show will see expert roboteer John Findlay of Robot Wars lead the construction and destruction over the three day event. John, known for his appearance in series 4 to 7 of Robot Wars will be inviting visitors to get ‘hands on’ and participate in workshops where robot kits will be available for teams to build and then later battle out in the arena. There will be prizes for the winning teams over the course of the exhibition. John said: “We are very excited about attending the London Model Engineering Exhibition next year. 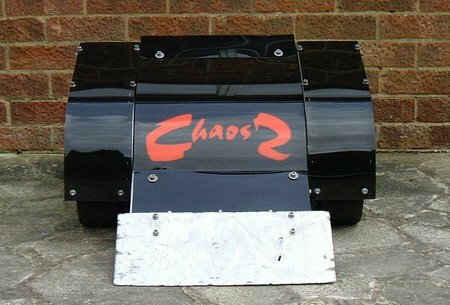 Robot Wars is a great way of encouraging people of all ages to get involved with, be inspired by and enjoy engineering. Building robots is a fun way of being educated in many disciplines – design, art, technical drawing, electronics, pneumatics, hydraulics and of course, team building. Robot Wars is attending as part of the London Model Engineering Exhibition’s 18th birthday celebrations. The show is one of the largest modelling shows in the UK and blends the full spectrum of modelling. From traditional engineering, steam locomotives and traction engines, through to the more modern gadgets and boys toys including trucks, boats, aeroplanes and helicopters, the Great Hall at the Alexandra Palace will be filled with stunning models, specialist suppliers and inspirational experts.